'The Sound of Our Food' is an experiential installation that intends to bring the listen a step closer to the sourcing of what’s on thier plate. 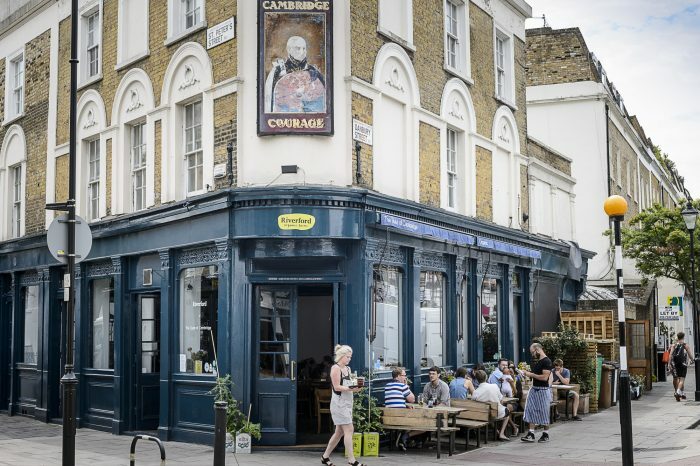 The Duke of Cambridge is a London based organic pub in the heart Islington. It's dedicated to sourcing all its ingredients from a sustainable and ecological origin and is linked to Riverford Organic Farmers in Devon. This project was a commissioned work to create a sonic relationship between the customers of the pub and where the food has come from. To accomplish this, 8 ceiling mounted speakers where discreetly installed throughout the men's and women's rest rooms specifically for this project. A collection of relevant field recordings were then composed in to an evolving soundscape, representing the sound of where the Duke of Cambridges food has come from. 90% of the sounds that can be heard came from around the farm in Devon, whether it's the crunch of a courgette being picked or the whizz of a fishing line reeling in a fresh haddock, it's likely the customers will be listening to a sound location close to where the food on their plates have come from. This installation is a permanent instalment in the pub so if you're ever in the neighbourhood feel free to pop in, even if it's just to use the rest rooms.